Mozambican President Filipe Nyusi said in a nationwide address. 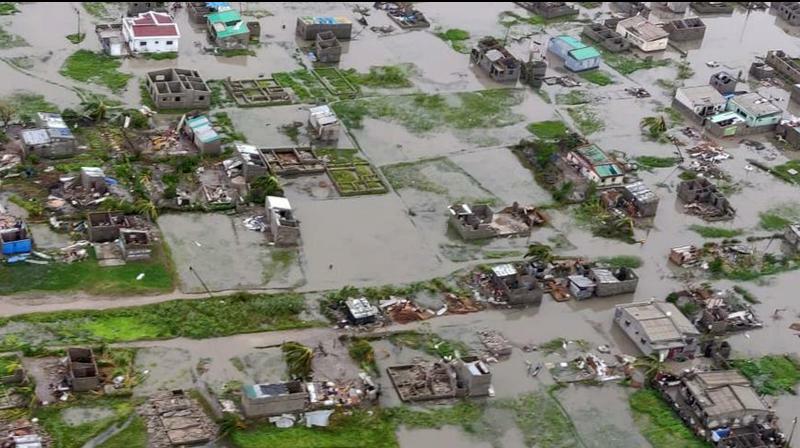 Beira, Mozambique: Over a thousand people are feared to have died in a cyclone that smashed into Mozambique last week, while scores were killed and over 200 are missing in neighbouring Zimbabwe. The city of Beira in central Mozambique bore Cyclone Idai’s full wrath on Thursday before the storm barrelled on to neighbouring Zimbabwe, unleashing fierce winds and flood. “For the moment we have registered 84 deaths, but when we flew over the area... to understand what’s going on, indications are we could register over 1,000 deaths,” Mozambican President Filipe Nyusi said in a nationwide address.